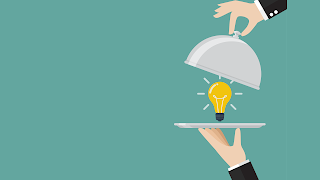 There's nothing better than seeing an idea and raving about its simplicity and effectiveness. 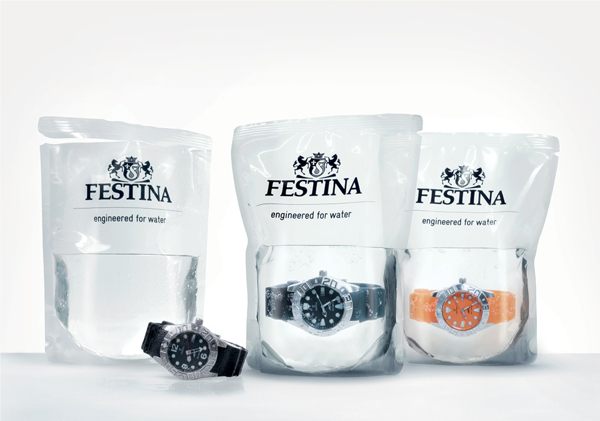 German watch-maker Festina is so confident of its waterproof divers' watch that it is selling it in a bag of water. 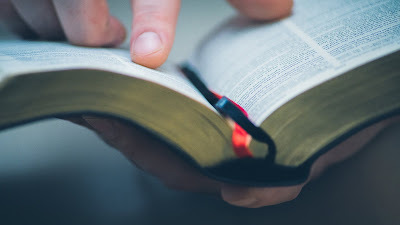 Designed by Berlin-based designer Ralf Schroeder, this ingenious packaging not only markets the product but also demonstrate what it can do in a simple but impressive way. 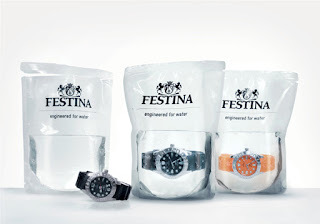 Consisting of nothing more than a transparent bag of distilled water, the packaging is eye-catching and proves the quality of the watch suspended in it without the need for words. An idea that takes it's one main selling point and very cleverly shouts it from the POS rooftops.